Ultimate Fighting Championship (UFC) returns to action this Saturday (Sept. 3, 2016) inside Barclaycard Arena in Hamburg, Germany, for the UFC Fight Night 93: “Arlovski vs. Barnett” mixed martial arts (MMA) event. 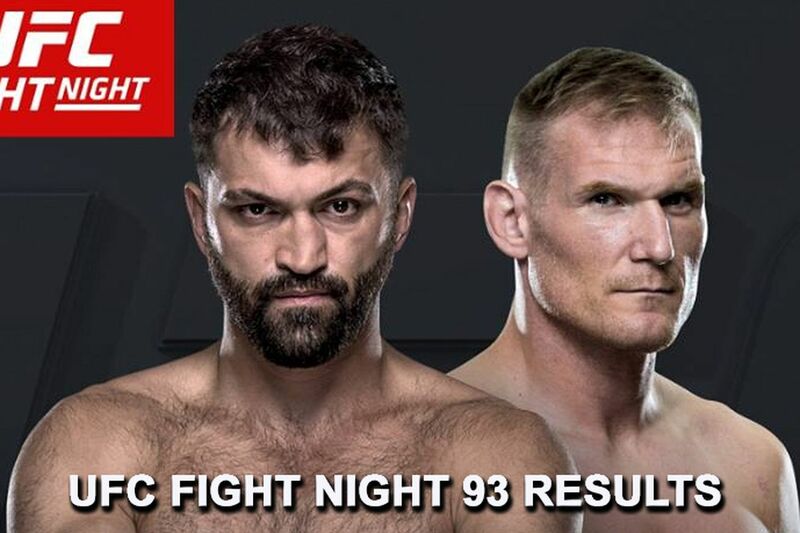 In the Fight Pass-exclusive main event, scheduled for five rounds, former UFC heavyweight champion Andrei Arlovski looks to rebound from back-to-back losses at the expense of hot-and-cold division veteran (and fellow ex-champ) Josh Barnett. Meanwhile, in the light heavyweight co-main event, Swedish sensation and two-time division No. 1 contender, Alexander Gustafsson, tries to get back into the championship mix by trading blows with Polish power-puncher Jan Blachowicz. MMAmania.com will deliver LIVE round-by-round, blow-by-blow coverage of the entire UFC Fight Night 93 fight card below, starting with the Fight Pass “Prelims” matches online, which are scheduled to begin at 11:30 a.m. ET, before the Fight Pass main card start time at 3 p.m. ET. Many of our readers check-in before, during, and after the online fisticuffs to share their thoughts on all the exciting action. Therefore, feel free to leave a comment (or 93) before you split and chat with all the other Maniacs during the show — it always turns out to be a great discussion.